Why Courts Matter PA Coalition Co-Chair John Neurohr joins us to talk about the stalemate in the selection of a new Supreme Court Justice, and how Senators are not doing their jobs by delaying this process. 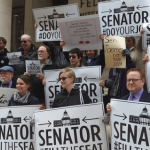 The Why Courts Matter organization, which held rallies in Harrisburg, Philadelphia and Pittsburgh to demand Toomey meet with Garland, praised Toomey’s decision. “Polls show that Pennsylvanians overwhelmingly feel it is Senator Toomey’s constitutional duty to fairly consider the President’s nominee, and the incredible interest we’ve had in rallies at Senator Toomey’s district offices throughout the state bear that polling out,” said Jodi Hirsh, organization co-chair. “Progressive organizations are holding demonstrations across Pennsylvania and telling Senator Toomey to “do your job.” This morning, thirty demonstrators gathered in State College for a morning rally, and fifteen others gathered outside of the Senator’s Harrisburg office. 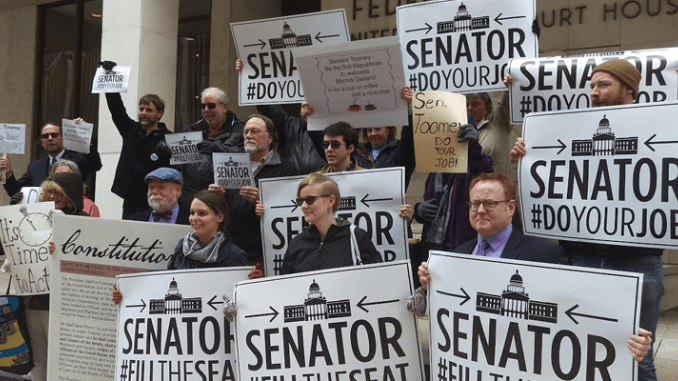 Protesters pointed out Senator Toomey’s past obstructionism by blocking his own judicial nominees to fill federal court vacancies. More demonstrations are planned outside of his Philadelphia and Pittsburgh offices throughout the rest of the week. “There’s an important distinction between voting no after a fair hearing . . . and refusing to even have a meeting,” said John Neurohr of Why Courts Matter-PA.
Senate Democrats urged their Republican colleagues to act. “The American people expect us to do our job without delay and politically motivated excuses,” said Sen. Robert Menendez (D., N.J.). Still, groups that monitor the judicial nomination process have continued to criticize Toomey and Senate Republicans, saying Restrepo’s qualifications have never been in doubt. “Every day that goes by means justice is being delayed and denied for everyday Americans, and it also means judges currently on the bench are being overworked,” said John Neurohr, co-chairman of Pennsylvania’s branch of the liberal-leaning group, Why Courts Matter. Restrepo was nominated to move up to the circuit court on Nov. 12, 2014. 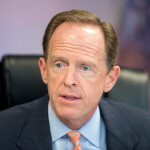 “There is no question that Sen. Toomey did a disservice to his constituents by not pressuring GOP leadership to bring up Judge Restrepo’s nomination sooner,” said a news release from Christine Stone, cochair of Why Courts Matter PA.
“After months of pressure from coalition partners and elected officials, it is encouraging to hear that the Senate has scheduled a full-Senate vote for Judge Restrepo, whose qualifications for the position have never been in doubt,” said John Neurohr, co-chair of the Why Courts Matter – Pennsylvania Coalition. HUFFINGTON POST: This Guy Waited 390 Days For His Turn At A Job. The Senate Just Skipped Him. 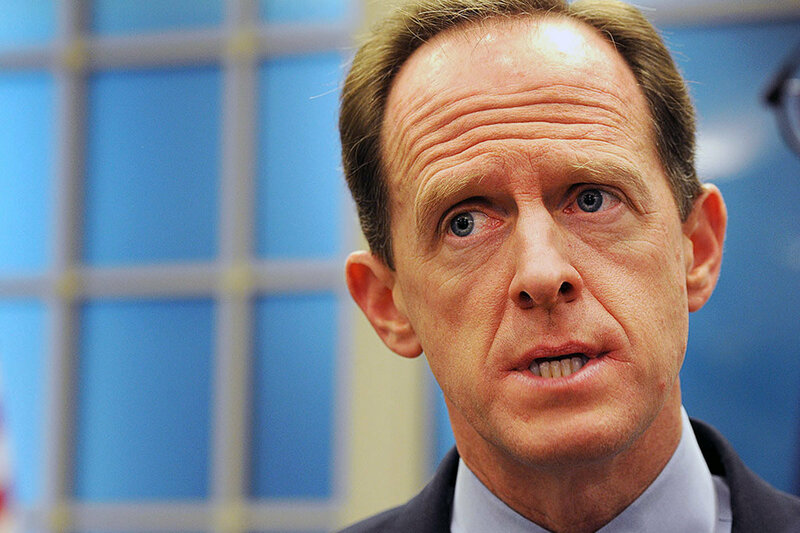 Toomey, who is up for re-election in 2016, has been taking heat back home for his role in delaying Restrepo. 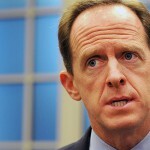 Why Courts Matter – Pennsylvania, a left-leaning coalition that advocates fair access to justice in courts, delivered lunch to seven of Toomey’s district offices last week — a reference to comments Toomey made to The Huffington Post earlier this year about needing to run to lunch instead of answering a question about his delays on Restrepo. They filmed the awkwardness, too. 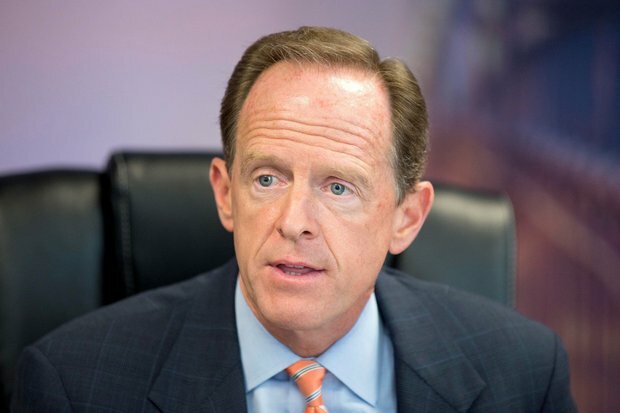 U.S. Sen. Pat Toomey’s attempt at a defense of his record on judicial appointments (” By putting aside partisanship in Pa., we’ve succeeded in filling federal judicial vacancies “) fails to tell the full story. If an individual were notified that his or her “day in court” would potentially come years after filing a claim, would it be worth filing a federal lawsuit in the first place? On Nov. 12, 2014, President Obama nominated Luis Felipe Restrepo to a judgeship on the federal Court of Appeals for the Third Circuit. Judge Restrepo, who already sits on the United States District Court in Philadelphia, seemed to secure the support of both Pennsylvania senators – Bob Casey, a Democrat, and Pat Toomey, a Republican.